It’s that time of year … lots going on and Leadership Pinellas is no exception. Mark your calendar for this year’s Leadership Pinellas Holiday Happenings, Friday, Dec. 7, 5:30-8 p.m. at John’s Pass in Madeira Beach. Our big news is the official marketing launch for the first Leadership Pinellas Snapshot Program scheduled for Jan. 24-25, 2019. LP Snapshot is a new program offering designed for executives, professionals, retirees, those relocating to the area and community leaders who live or work in Pinellas County. This is for those who are interested in broadening their knowledge of our community while connecting with influential stakeholders. Participants will gain an expansive knowledge of Pinellas County in this two-day taste of our primary nine-month program. 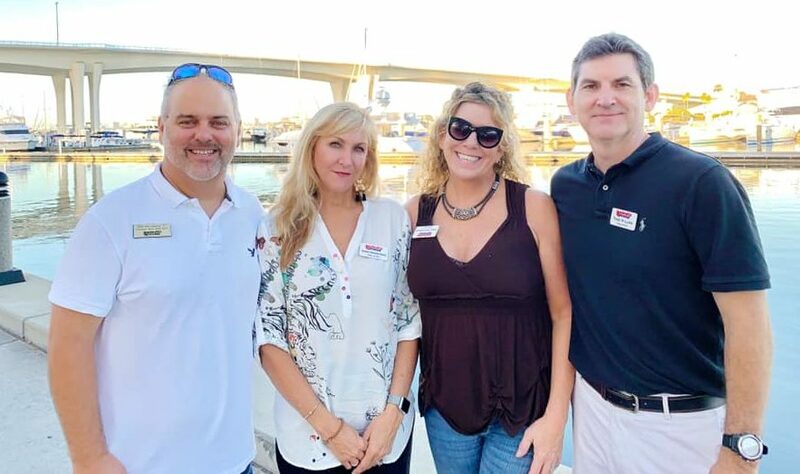 Snapshot is well-suited to those who want to build more connections, those who are new to the community or those who are intrigued by Leadership Pinellas. There is no interview process. The cost is $495 for the two-day program. Those interested may fill out an application to tell us about themselves. Once tuition is paid, their place is secured. We need your help inviting and educating potential candidates about this new program. To request more information, including our newly-designed brochure which explains more about the program, email contact@leadershippinellas.com. Special thanks to Kimberly Berfield ’97 for all the work she’s put into developing this over the last three years, Tammy Robiconti ’15 for leading the marketing launch of this exciting new LP Program, and Allie Chandler ’18 for creating the LP Snapshot Video below. Be sure to check it out. In other LP Alumni news, LP members enjoyed catching up at the Birchwood in Downtown St. Petersburg. The event organized by Matt Campbell ’15 was followed by dinner in downtown St. Pete. It was a fun evening enjoyed by all who could attend. This year’s Arts & Culture Day included some new opportunities such as The James Museum of Western and Wildlife Art, featuring guest speaker Jason Jensen ’10 of Wannamacher Jensen Architects. Over 70 LP class members and alumni ended the day with a VIP Clearwater Jazz Holiday experience thanks to Clearwater Jazz Holiday CEO, Steve Weinberger ’03. Huge thanks to the whole team chaired by Bob Childress ’11 and Suzan Decker Ross ’12, including Darrin Johnson ’14, Aimee Trachtenberg ’12 and Todd Willsie ’12. Our new Leadership Pinellas Mentor Program is going well! The feedback we’ve received from the LP mentors and mentees has been very positive. I am excited to announce that Karen Skiratko ‘07 has agreed to be this year’s LP mentor chair to ensure all parties get the most out of the experience. Whether it’s mentors or mentees attending the LP Leadership Institute, the LP program debrief socials, meet-ups and informal lunches, all are learning from each other. It’s not too early to think about the spring recruitment socials for next year’s class or spreading the word about LP Snapshot. Please continue to submit potential LP future members and program candidates whenever you meet them by using ReferLP.com.